Pisa Galileo Galilei Airport is one of the two main airport serving the Tuscany Region the other is Florence Airport. Pisa Airport is convenient to pick up car hire if you are touring the Tuscany region and nearby towns of Pisa, Florence, Siena, Arezzo, Peccioli, Lucca, Livorno, Certaldo, San Gimignano, Volterra. 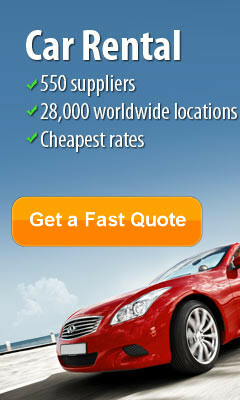 Alternatively you may rent the car in Pisa and drop it it off in Rome or any of the major cities in Italy. Cross border car rental also available, just type in you pick up city and drop off city and we will give you a fully inclusive price. 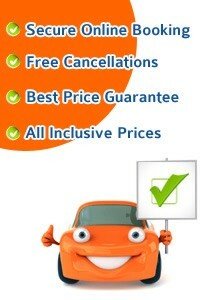 With free cancellations and amendments, and no credit card fees you have nothing to lose by locking in the price. That why we guarantee you the best car hire prices in Pisa Tuscany. 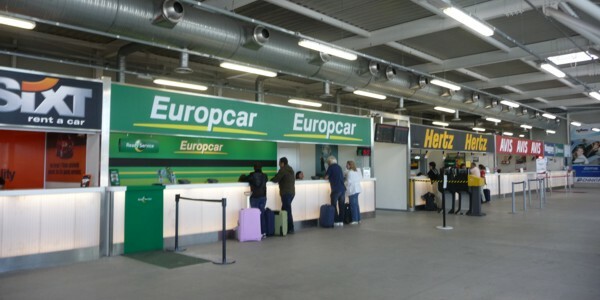 Car Hire at Pisa Airport is on-site but not inside the airport terminal. 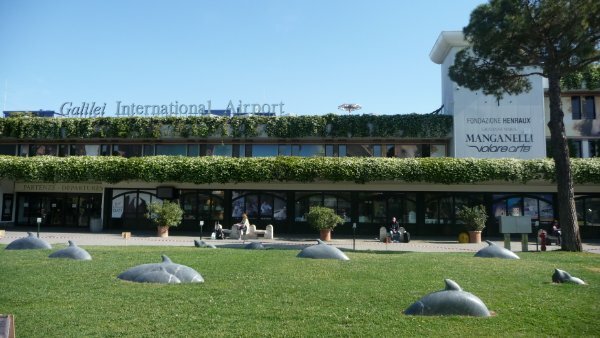 It is situated 500 meters from the terminal building once you exit Pisa airport arrivals hall. You can walk to the Car Hire Building or use the Shuttle bus which departs every few minutes from outside the terminal. The journey takes only a couple of minutes. All Car Rental desks are situated there. There are no car hire desk within the Airport terminal itself. Car Rental at Pisa airport is supplied by Auto Europa, Dollar, Thrifty, Sixt, Europcar, Hertz, Avis Liberty, Easy Car Maggiore, National, Budget and Locauto. For best prices always book in advance. 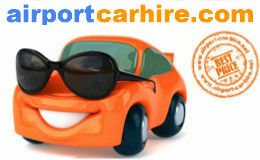 It's so easy to compare car hire at Pisa Airport and book securely online. Pisa Airport officially know as Pisa Galileo Galilei Airport is the main airport serving the Tuscany region. It is situated just 10km from Pisa city centre and is easily accessible by Car, bus, and rail. The airport caters for close to 5 million passengers per year. 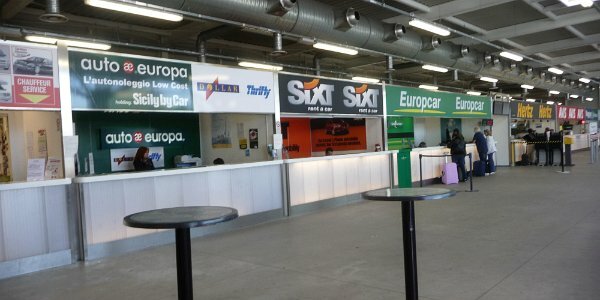 Car Hire: The car rental companies are located 500 metres from the terminal building. You can walk to them in minutes or avail of the free bus service. Driving Directions to Pisa Airport just off the motorway connecting Pisa & Florence. Pisa, a Tuscan city know mainly for its leaning tower but also for its friendly hospitality, is positioned at the mouth of the River Arno on the Tyrrhenian Sea. An important naval base in ancient Roman times, modern Pisa is a lively university town, proud of its heritage and its modern contributions to Italian culture. Surrounded by historic walls, the best way to see what Pisa’s central area has to offer is by walking. The half hour stroll from the Campo dei Miracoli to the train station runs through a pedestrian street with a variety of interesting sights, shops, and restaurants. Soak up the atmosphere, visit the top attractions, and then head out for a drive to see what else the region can add to your holiday. Someone said something about the leaning tour of Pisa? Yes, the city is known worldwide for this landmark, but you should know that if you decide to visit it, you have got more than 20 historic churches, several bridges across the River Arno, and also various medieval palaces to capture in the pictures of your holiday photo album. The bell tower of the Cathedral is also surrounded by many works of art and architecture, and all of them are situated in the city's Piazza del Duomo. Seems like you have got a lot of places to drive to! First things first, you for sure have to be dying for taking that photo like you are holding The Leaning Tower of Pisa. Luckily for you, you have a big parking lot right at your service, and you will not have to be worried about your rental car. 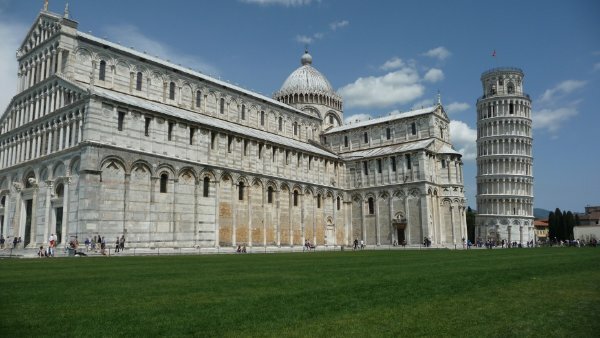 You will be able to access the Piazza dei Miracoli too, and from there, you can wonder around as much as you want. The square is dominated by other treasures, the Cathedral, the Baptistery, and the Monumental Cemetery. Do you know what this means? You will be able to see the breathtaking architecture of the Cathedral, the baptistery where the famous Galileo was baptized and the cemetery that it is said to have been built around a shipload of sacred soil from Golgotha. Of course that the benefit of having a rental car consists in the fact that you are able to make road trips anytime you want, and your holiday in Pisa is not an exception! How about driving to Genoa, since it is just one hour and a half away? The city of Genoa is not only one of Europe's largest cities on the Mediterranean Sea, but it is the largest seaport in Italy too. This city did not receive the title of "La Superba" ("The Proud One") for nothing! Not only that it is known for its impressive landmarks, but a part of the old city has even been listed as a World Heritage Site. Since you are feeling adventurous and willing to explore even more of the Italian beauty, you absolutely have to drive to Florence. "The Athens of the Middle Ages", how this city has been called, is a perfect getaway location from Pisa. Forbes did not listed it as one of the most beautiful cities in the world for nothing, did they? Centre of culture, art, history, and fashion, Florence will for sure make you stay a little longer than planned before you return to Pisa. Another city that is worth paying it a visit is Siena. Since you are in the area and you have got you rental car with you, you might be anxious to see this city, famous for its art, museums, medieval cityscape, cuisine and the Palio, a horse race held twice a year. The Leaning Tower of Pisa must be one of the world’s most iconic - and most photographed - buildings of all time so no stay would be complete without a trip to see it’s strangely angled structure. The tower is housed in the Piazza dei Miracoli (known as both the Cathedral Square and the Square of Miracles) and it is actually the bell tower of the city’s cathedral. The leaning tower measures 55.86 m from the ground on the low side and 56.70m on the high side – a disproportionate lean of almost 4 metres! Did you know that there are also two other leaning towers in the city? One is situated at the southern end of central Via Santa Maria, and the other sits halfway along the Piagge riverside promenade; not as impressive but certainly worth a peek. Pisa is also home to more than twenty historic churches, a multitude of palaces and some beautiful bridges that cross the River Arno. Visit the Knights' Square (Piazza dei Cavalieri), to view the impressive façade of the Palazzo della Carovana. Venture into the Borgo Stretto area to meander the medieval streets and then marvel at the Lungarno avenues skirting the river. Make sure you visit the Gothic-Romanesque church of San Michele in Borgo. If you like flowers and gardens, stop by the Orto botanico di Pisa, Europe's oldest botanical garden housed within a university and the perfect place for a relaxing stroll. The town hall, adorned with interior frescoes of early sea victories, is a lovely 14th century gothic building and a good example of architecture of its time. You can collect your hire car from Pisa Galileo Galilei, Airport and tour the Tuscany region head east to Florence, to see a very different Italian city. A UNESCO heritage site, Florence is a bustling and chic city where ancient and modern work side by side to create a very special atmosphere. Take another leisurely drive to Chianti, marveling at the rolling countryside and lush vineyards along the way – and why not try a tipple when you’re there? A lovely route is to head east out of Pisa on the main highway, turning south towards Ponsacco after approximately 10 miles. Continue on by visiting Volterra, San Gimignano, and Poggibonsi in turn, and then head eastwards until you hit Chianti. The elegant Hotel Bologna is set in the historic centre of Pisa, 5 minutes' walk from the train station. It offers free Wi-Fi, and a free shuttle to the airport. All rooms have minibar, and flat-screen TV with satellite channels. They feature floor-to-ceiling windows, wooden floors and independent heating. Breakfast at the Bologna is a varied buffet including fruit, cold meats, and fresh bread and cakes. It can be enjoyed on the courtyard terrace, or provided to take away for early check-outs. The bar offers free tasting of traditional Tuscan products every evening. The Campo dei Miracoli and the famous Leaning Tower are a 12-minute walk from the hotel. The highway that links Pisa with Florence and Livorno is 3km away. AC PISA located in the neighbourhood of Cisanello, one of the areas experiencing the fastest urban development in the city, this hotel combines business customers with tourism due to its proximity to the Business Area and to the famous Piazza dei Miracoli (4km). The hotel AC Pisa, with easy access to the sea (30 minutes) and beautiful Tuscan cities such as Lucca and Forte dei Marmi, is the ideal place where to start the discovery of Tuscany. Its 107 rooms (which include 3 suites) are full of rich details, such as wi-fi connection, special lights and free minibar, to guarantee everyday a top quality stay. Hotel Relais dell'Orologio This prestigious manor is a tower house of the 14th century skilfully and carefully restored and then converted into an exclusive 5 stars hotel. The Relais is located in the heart of Pisa, a few steps away from Piazza dei Miracoli where the Duomo and the famous leaning Tower can be admired. The airport, which is only 5 km away, can be easily reached either by public transport or private cars. The Relais Dell’Orologio welcomes its guests in an elegant and exclusive setting thus at the same time preserving the warmth and tradition of a family run hotel. NH Cavalieri this hotel is a modern building with 6 floors, including the ground floor. It consists of 100 rooms, 3 meeting rooms with a capacity to seat 80 people. It is situated in the heart of the city, only a short walk away from the central train station and 1km away from the airport. It has an ideal location to reach the central offices, the university, the best shops as well as the splendid monuments (the famous Torre Pendente etc). The restaurant offers delicious local and international specialities. What a bargain we got on car rental at Pisa Airport. Fast and friendly service an great price Thank you. - Colin Farrelly / Dublin.